Mushrooms, ricotta, tomato and cotto on a puffy, blistered crust at Cento Osteria. Chef Donato Scotti is on his way to building a Bay Area restaurant empire with the addition of his fourth establishment — and first one — in San Francisco. 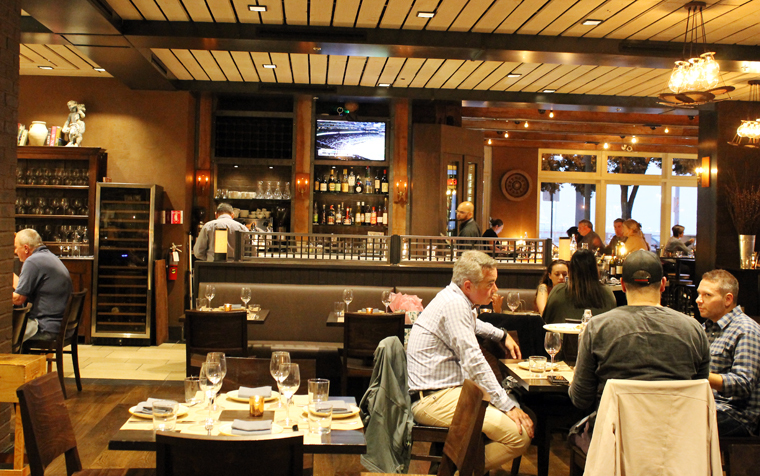 Cento Osteria on the city’s Embarcadero joins the others in his Donato Restaurant Group: Donato Enoteca in Redwood City, Cru wine bar in Redwood City, and Donato & Co. in Berkeley. His newest opened in May. 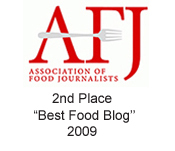 My friend Ben of the blog, FocusSnapEat, and I were invited in as guests to check it out recently. The dark wood interior gives the dining room warmth while its walls of windows give it airiness. 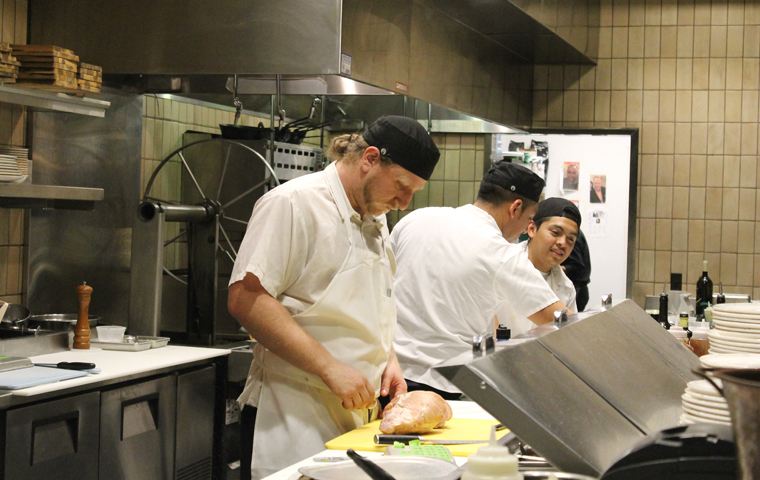 Chef Chris D’Andrea, formerly of Saison and Eight Tables, both in San Francisco, heads the kitchen. 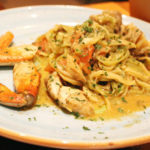 The menu is a mix of solid Italian classics, while the bar menu offers eight house cocktails. The Alessio ($13) is made for warm summer nights. 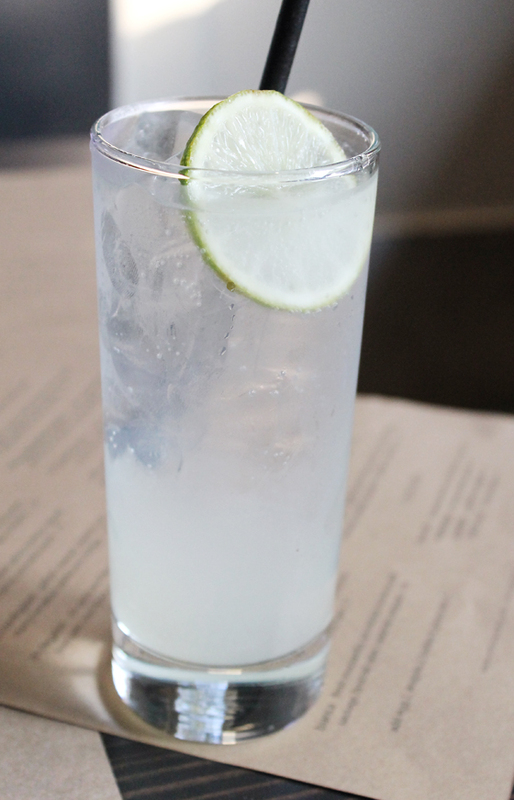 A blend of gin, bianco vermouth, lime and apricot bitters, it’s quite citrusy and herbaceous. The apricot bitters add more depth than actual apricot flavor. A gin-based drink with apricot bitters. Our server recommended the Mozzarella Di Bufala ($16) made with milky, creamy, soft cheese imported from Italy. 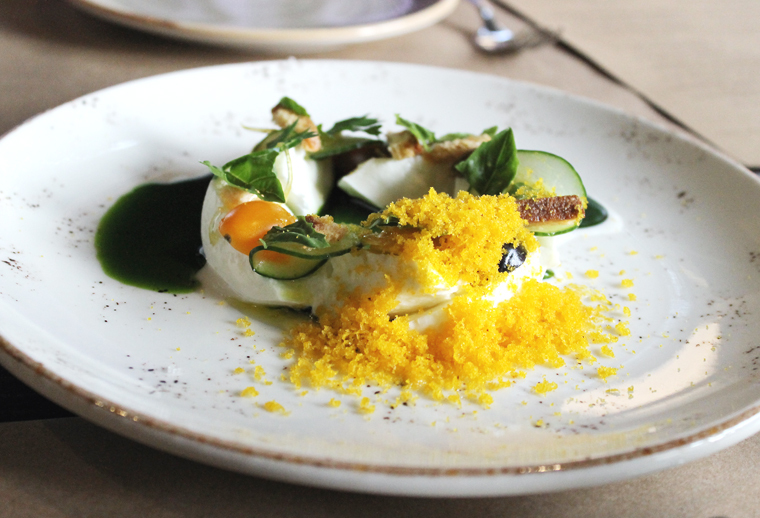 The surprise was how artsy it was arranged on the dish with compressed cucumbers, cherry tomatoes, and a hail of grated bottarga, adding a pop of umami salinity. Tomatoes, buffalo mozzarella and a flourish of bottarga. 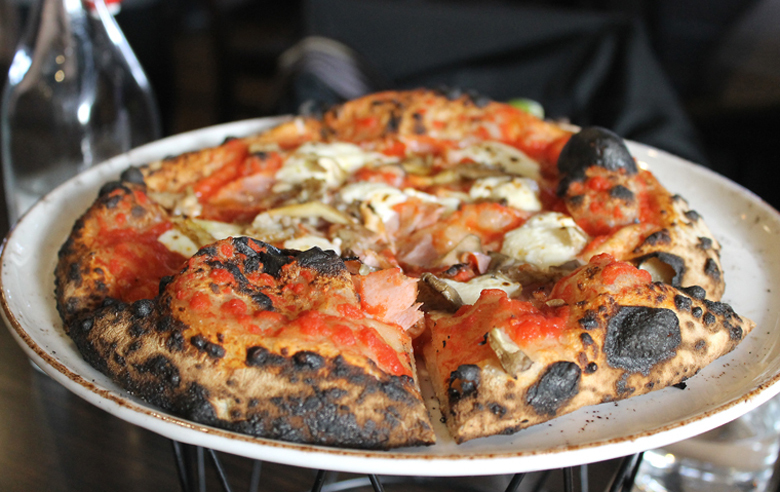 The Cotto E Funghi pizza ($17) had deeply charred leopard-like spots on its puffy-edged crust. This is not your thin, crisp-type of pie. This is more bready, with a light, fluffy texture sporting plenty of air holes. House-made ricotta and house-made cotto ham (cooked Italian ham) were arranged over the top with tomatoes and mushrooms, making for quite a substantial and tasty pizza. I can never resist pasta, and they’re all made in-house here. 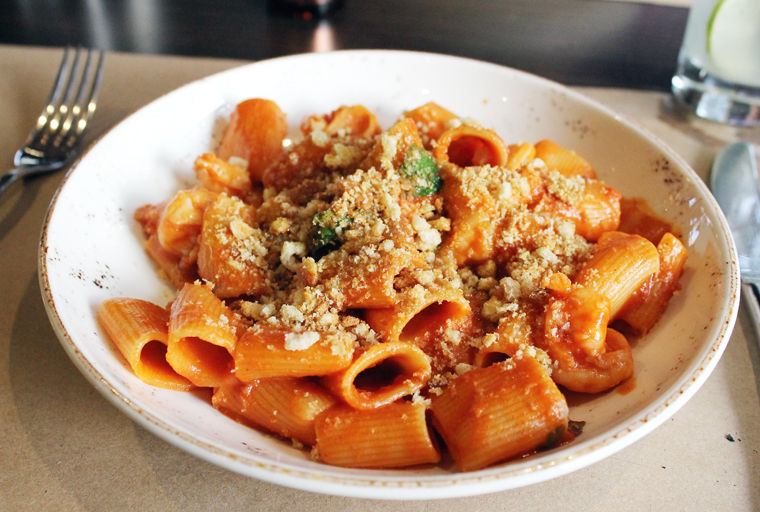 The Rigatoni ($19) gets a good dose of spice from nduja sausage. The toothsome pasta also has a briny character, owing to the plump shrimp scattered about, as well as “shrimp breadcrumbs.” The tiny crunchy breadcrumbs are a flavor bomb of shrimpiness, owing to the fact that D’Andrea macerates shrimp shells in olive oil, then uses that resulting oil to crisp the breadcrumbs. It’s a powerful touch that adds so much to the dish. The Casonsei meat ravioli ($18) are apparently modeled after Scotti’s mother’s recipe. Ben graciously let me dip a fork into his plate to spear one of the ravioli. It was really meaty tasting with a delicate pasta wrapper. 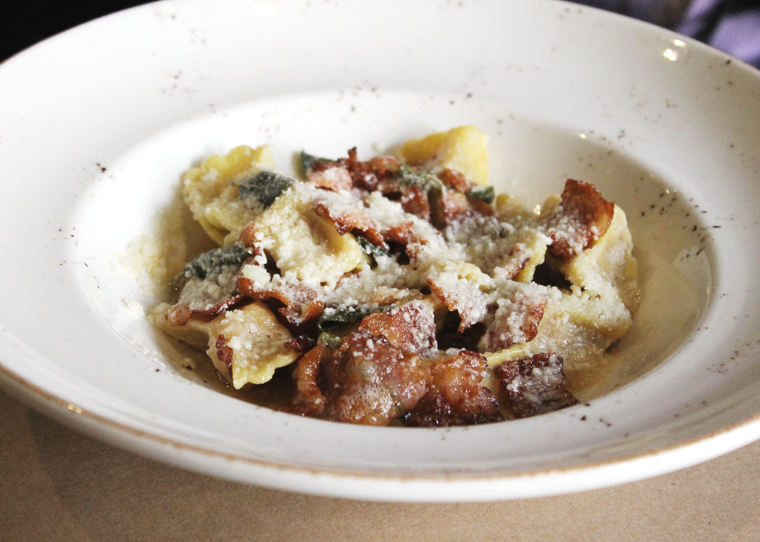 The meatiness of the dish was amplified by the pork guanciale, much like crisp little pieces of bacon, garnishing the ravioli. Ben, however, said he found the dish overtly greasy tasting, perhaps not surprising given the rendered guanciale along with the fact that everything was tossed in a brown butter sauce that probably could have been cooked a little longer to bring out more color and nuttiness. 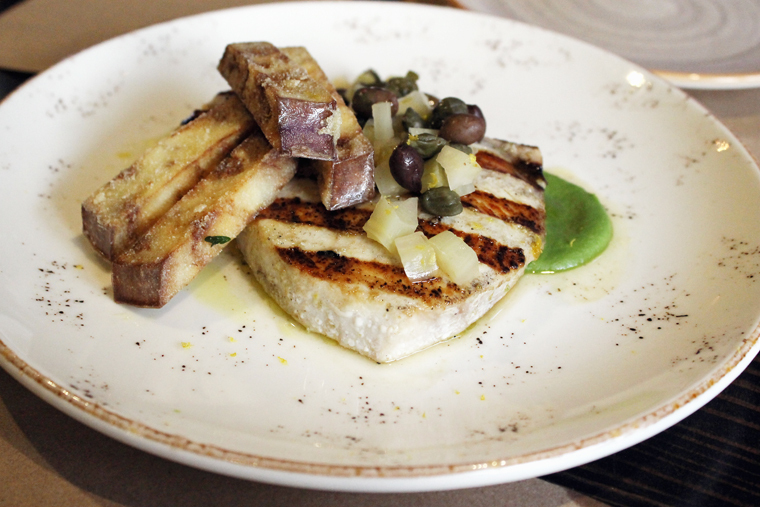 We shared the Pesce Spada ($28), a grilled swordfish fillet that was moist and tender. Its sorrel-fennel sauce added such bright, lemony flavor, along with the brininess from capers and olives, and the unexpected crunch of little pieces of pickled fennel. 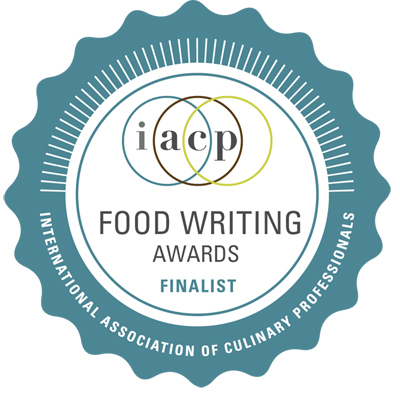 The piece de resistance was the eggplant — cut like french fries, and deep-fried like them so that their crisp exteriors gave way to a thoroughly custardy interior. Who can resist figs at this time of year? 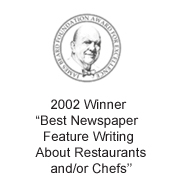 Not us, as we indulged in the Fichi ($9). 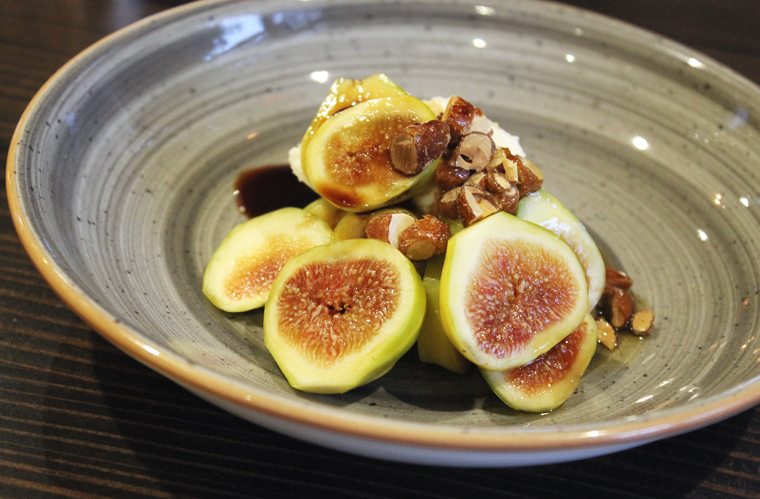 This simple dessert showcased fresh candy striped figs with whipped house-made ricotta, honey, toasted almonds and a little balsamico. Not far off from something I’d eat for breakfast, it has inspired me to add a drizzle of balsamic vinegar next time. Fresh figs mounded atop smooth, whipped ricotta. The Perfetto that was indeed perfect. Our favorite dessert was the Perfetto ($10). 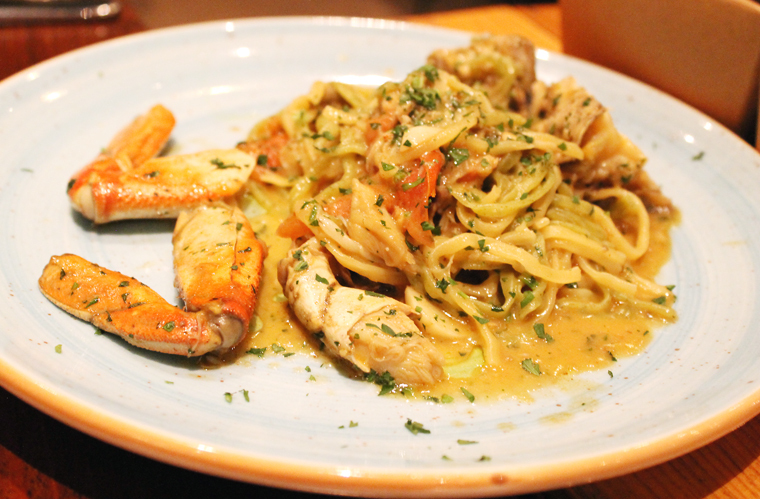 Our server warned us that it’s not to everyone’s liking because of its anise-forward flavor. But the licoriceness was not over powering by any means. The anisette “congelato” parfait is creamy and light — a lot like barely frozen whipped cream that just melts in your mouth. A ball of tangerine sorbet was perched on top and a sprinkle of fennel pollen graced it. 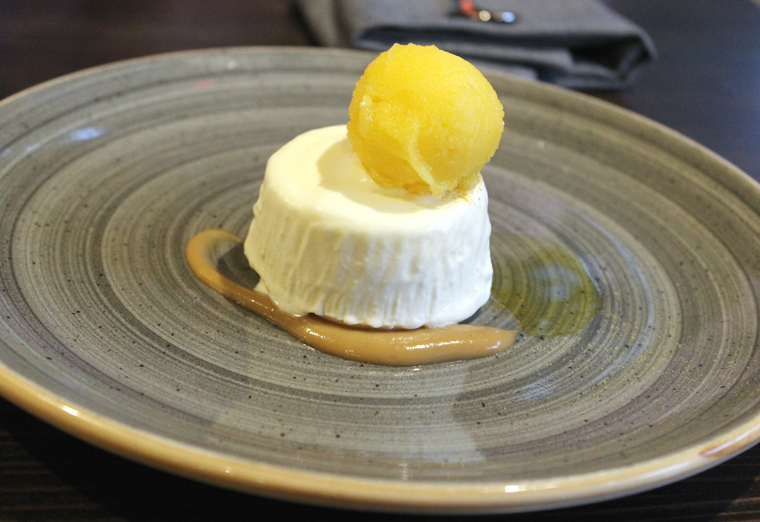 If you like your desserts refreshing, none too sweet, with an edge of savoriness, and truly delizioso, this one is for you. 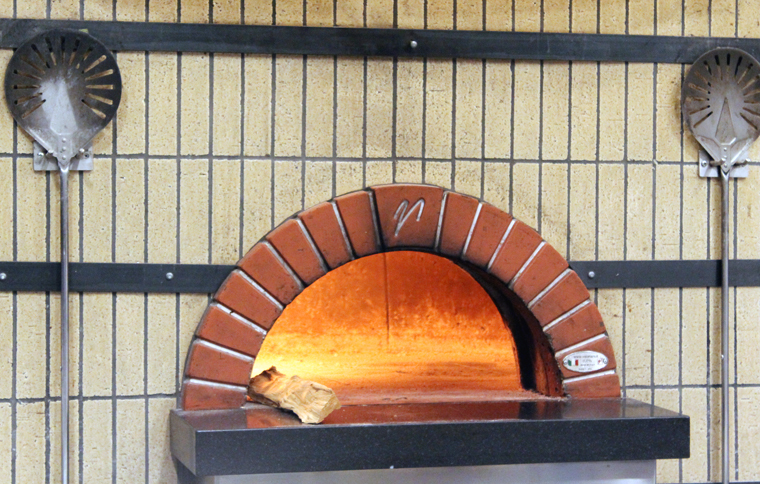 More: A Visit to Donato & Co.
I’ll have to bookmark this. My friend lives nearby and loves this place.